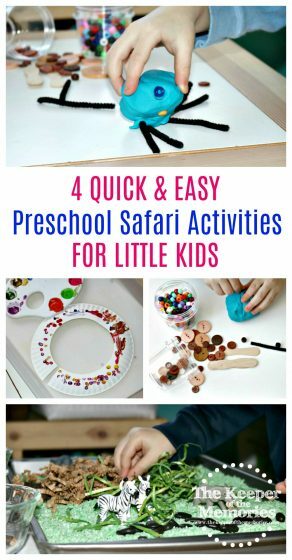 Are you looking for fun preschool safari ideas for little kids? Here are a few to get you started. 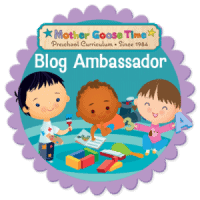 This post includes everything from process art and crafts to sensory activities and STEAM. Let’s go on safari, y’all! We just wrapped up our preschool safari theme and let me tell you. This theme has definitely been one of our favorites. Are you curious what we did that made it so awesome? 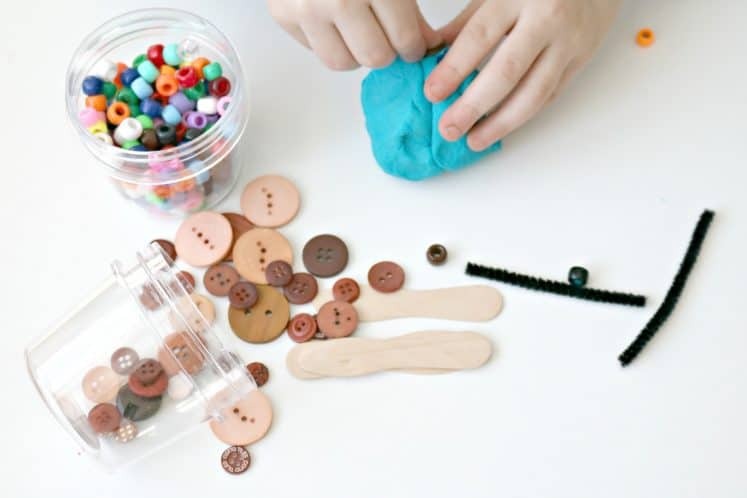 Let’s take a look at four of our favorite preschool safari ideas for little kids! During week one, we talked about Getting Ready for Safari. 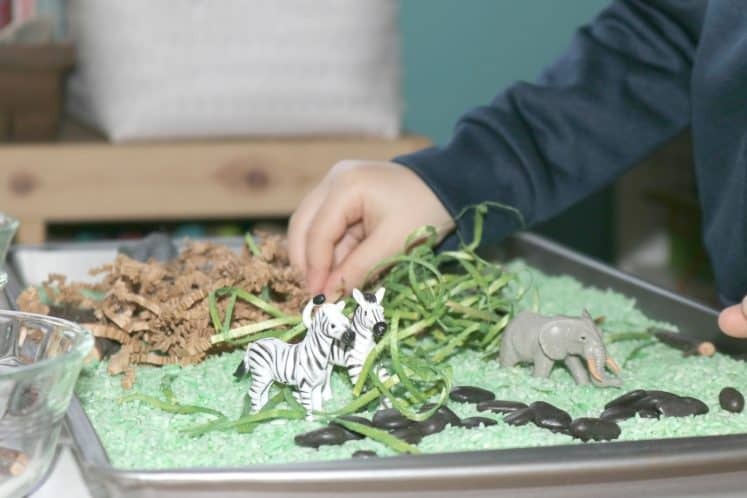 The little guy and I put together a fun Preschool Safari Theme Activities Sensory Habitat. Sensory activities are always a huge deal around here and this one was definitely no exception. Of course week two brought with it lots of learning about Wild Safari Animals including, but not limited to, lions, elephants, and zebras. After that, it was all things Life in the Grasslands during week three. And obviously we both has a blast. 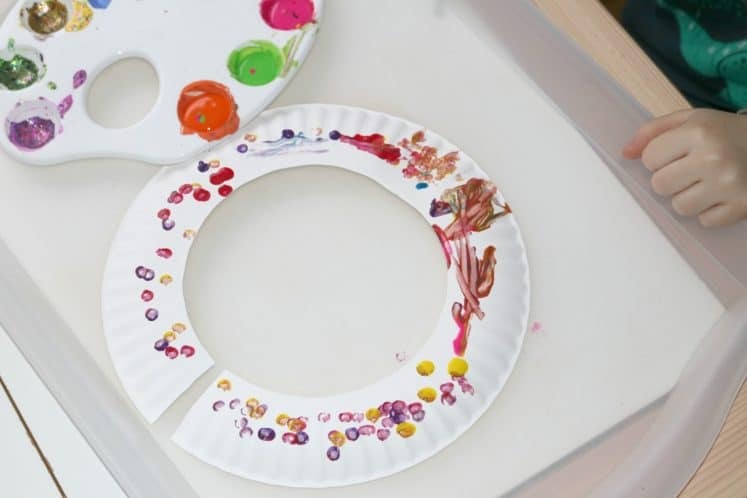 We learned about beads and worked on a few different Preschool Safari Crafts Beads Activities. 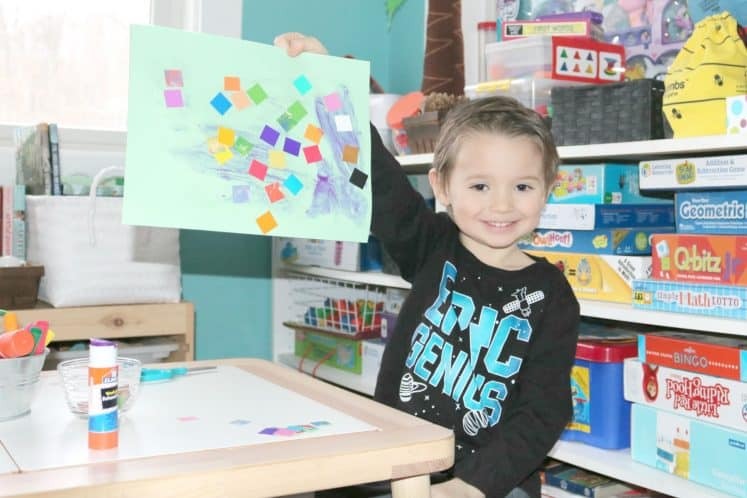 Another topic that was totally a win this week in our preschool homeschool was Migration and the little guy and I did this really cool Preschool Safari Activities Migration Invitation to Create Process Art Experience. Our focus during week four was Backyard Safari and this week’s favorite was bugs! Not just any bugs, though. We learned everything we ever wanted to know about beetles and put together a Preschool Safari Sensory Beetle Structures Investigation Station. We had a wonderful month full of Going on Safari fun, don’t you think?